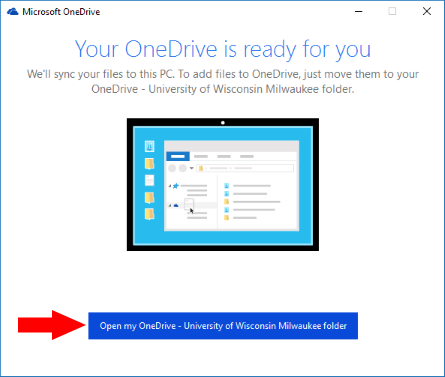 The following instructions demonstrate how to install the OneDrive sync client and sync your UWM OneDrive for Business library on a personally owned, Windows (7, 8.1, or 10) computer. 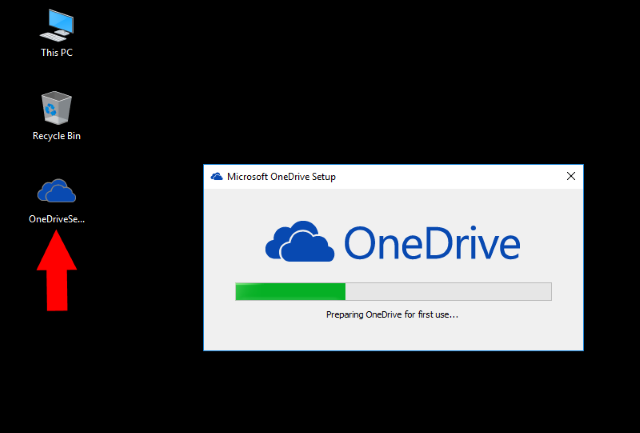 Never install the OneDrive sync client and/or sync your library on a public computer. 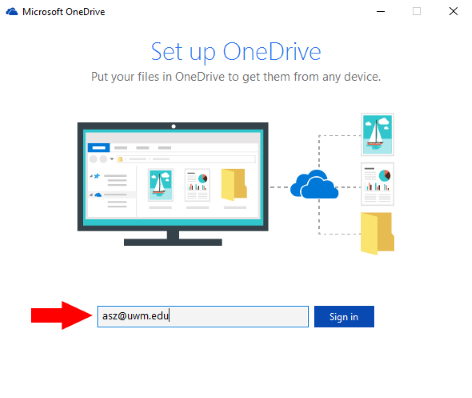 Doing so could jeopardize your account and files. 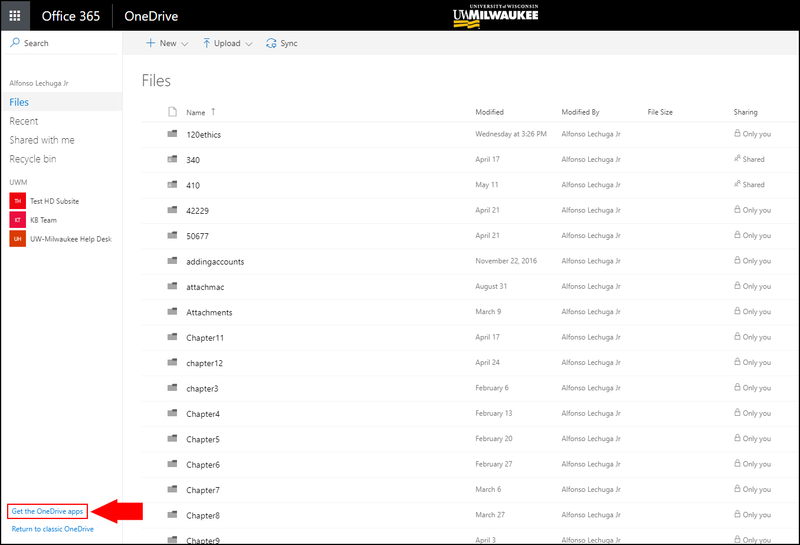 If you must use a public computer to access your UWM OneDrive for Business library, use the web-based interface and remember to log out when you're done. 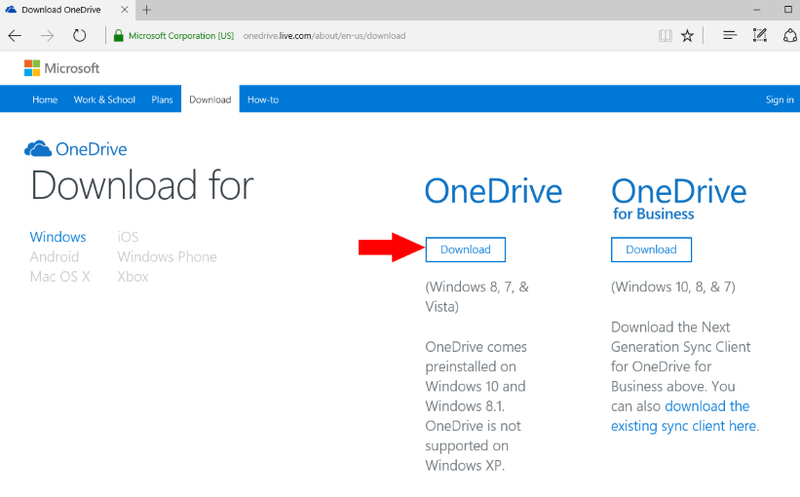 For information regarding the OneDrive sync client on University-owned Windows computers, please see our knowledge base article. 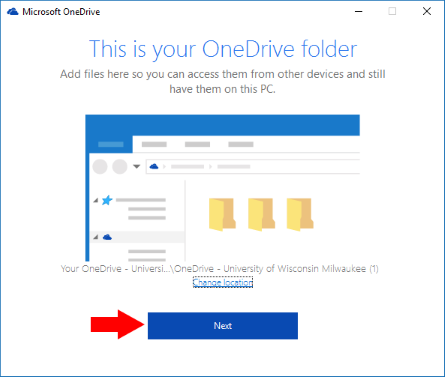 Additional questions about the OneDrive sync client for personal computers or University-owned computers should be directed to the UWM Help Desk at 414-229-4040 or submit a request via the Get Tech Help web portal. 1. 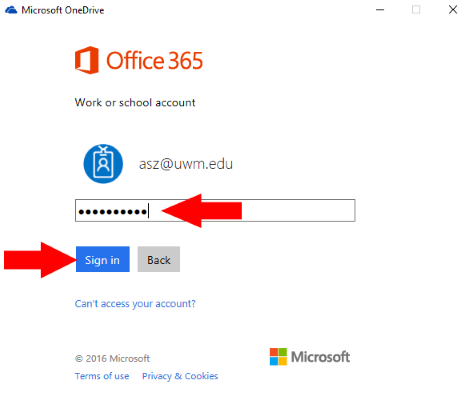 Go to UWM OneDrive for Business website and log in with your UWM email address and ePanther password. 5. 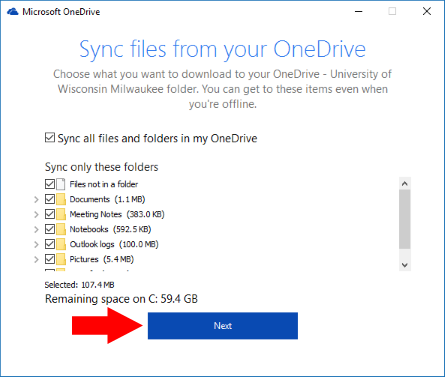 If you were previously using the legacy OneDrive for Business sync client to sync your UWM OneDrive for Business library, you do not need to continue to set up the new OneDrive sync client and the upgrade process is now complete.